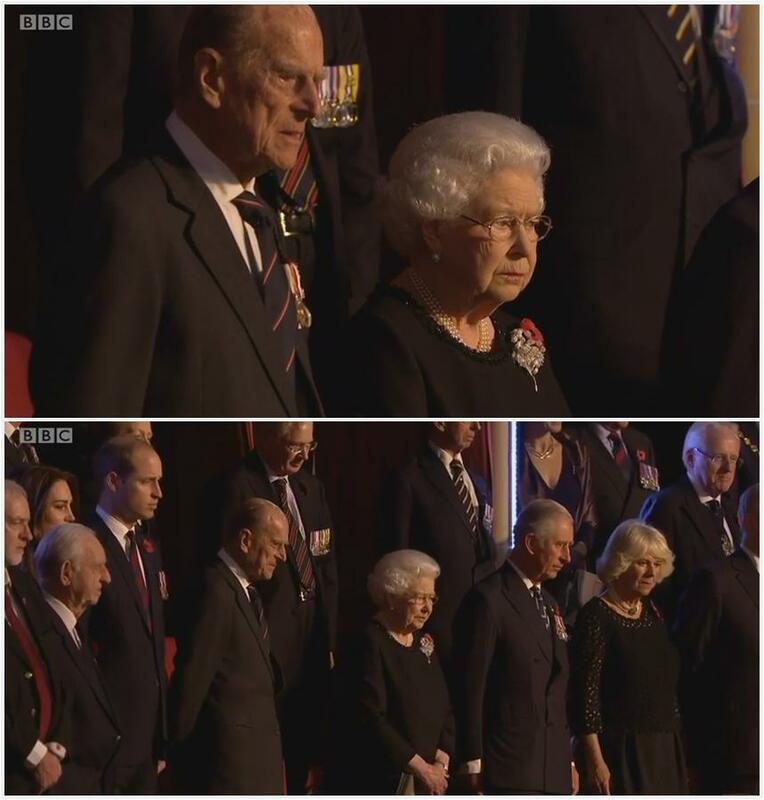 The Queen and The Duke of Edinburgh, accompanied by other members of the Royal Family, attended the Royal British Legion Festival of Remembrance at the Royal Albert Hall, London. An interesting brooch choice from The Queen tonight: the Bronte Porcelain Brooch, which has seen one appearance a year since its 2014 debut. It seems a bit of a busy brooch for anchoring a poppy, but then most do (apart from the bow brooches, of course, which are her most popular pick for the job). The Prince of Wales and The Duchess of Cornwall returned from their tour of Oman, the United Arab Emirates, and Bahrain just in time to join the large group of royal family members also present for the Festival. Camilla wore her favorite pearl choker these days, the Four Strand Pearl Choker with Large Diamond Clasp, as well as a large pearl bracelet she's worn before. 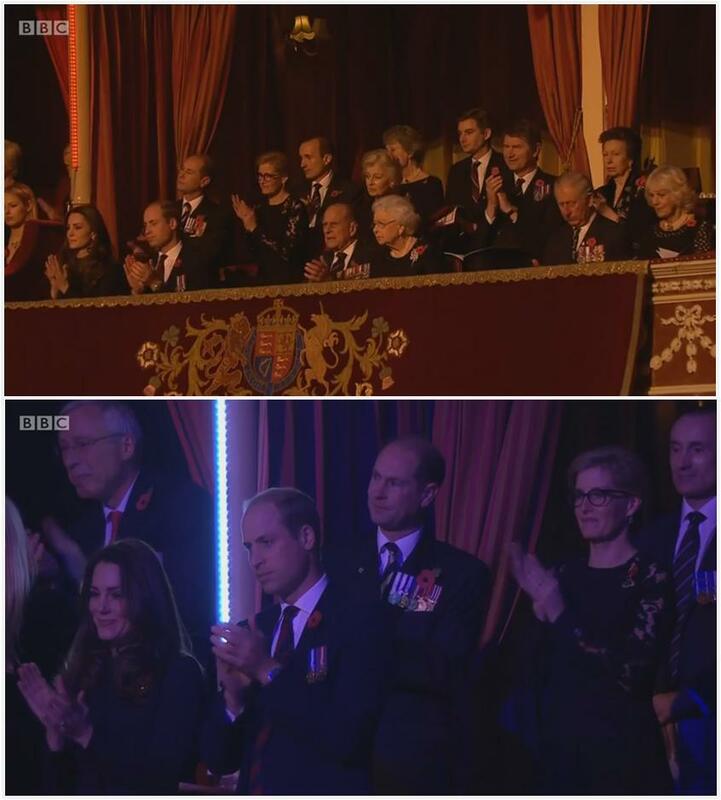 For more images from this year's Festival of Remembrance, click here. We'll have another post on Sunday covering the traditional service at the Cenotaph.